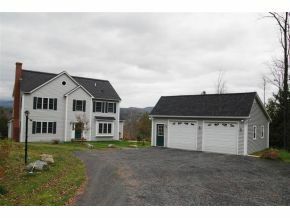 You can have it all in Stowe for under $700,000. 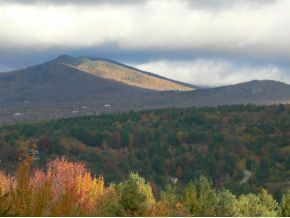 Want to be close to skiing, the Stowe recreation path, the village, the Swimming Hole and miles of mountain biking or snowshoeing trails? This home has panoramic views of the Mount Mansfield from the large windows in the dining, living and kitchen. Lots of room for entertaining, there is a kitchen, dining and family room with fireplace, living room with fireplace, and a cozy den. The master suite has a whirlpool bath, large walk-in closet, and an office. There are two other bedrooms and bath. A rare feature in houses today is the attic. It's all ready to be finished.